A DMC firm stands for Destination Management Company – a professional services company that has extensive local knowledge, expertise and resources that specializes in the planning, design and implementation of events. 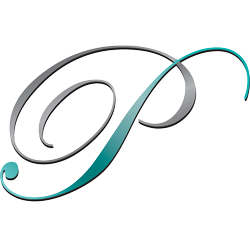 Preferred Events combines passion with innovation, providing complete event services including transportation, venue, decor, entertainment, branding, tours, catering, team building events, receptions and more. 1. You get a one-stop shop for when you’re planning an event or conference in a city that you are NOT familiar with. 2. You gain specialty access to venues & vendors that you wouldn’t normally have access to that we provide from our extensive connections. 3. It’s more affordable than you think because of the volume we do business with local vendors, you often get better pricing. 4. You gain additional insurance protection. 5. You get a professional team to help you manage your event on the ground which allows you to focus your attention on other parts of the event/conference and the best part – having a great time. At Preferred Events, you get all these wins from a team that is devoted to coordinating and executing the ultimate event, no matter the size or budget of the group. 6671 South Las Vegas Blvd.